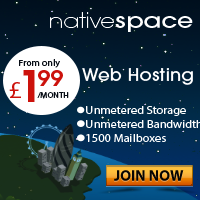 Participation in the Nativespace web hosting affiliate program is free, quick, and easy and our affiliates earn 20% recurring commission on each new customer they refer to us. 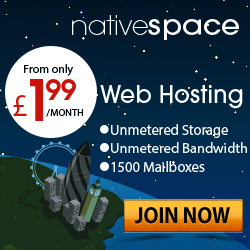 That means that unlike other web hosting affiliate programs you earn commission EVERY month we bill the customer and not just when they join us. Immediate notified and your pending commission hits our queue. *We’ll credit your account with £10 just for signing up and at the end of each month, Terms and conditions apply. One simple form to fill in online. 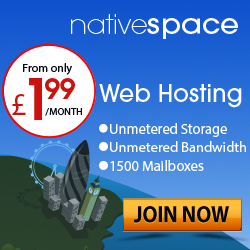 Spread the word to anybody looking for the best hosting service. We pay money into your online account for you to withdraw whenever you need it.